This scarf pattern was inspired by scarves I saw women wearing all over the cities of western Europe. I love the lightness and versatility of this long, narrow triangle scarf. For the most part, it’s designed to be worn with the point in front and the ends are wrapped around the neck and brought back forward. The ends can then hang free or be tied as in the main photograph. 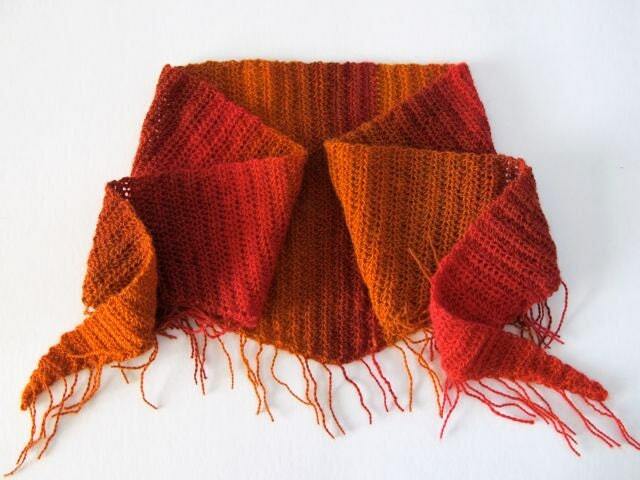 I happened to use a wool/nylon blend for this particular scarf, but it would also be amazing in silk or fine cotton. These fibers would create a scarf that could be worn in the warmer seasons. The City Scarf pictured here was made using Schoppel-Wolle Zauberball Sock Yarn and a crochet hook US size G or 4.00mm. 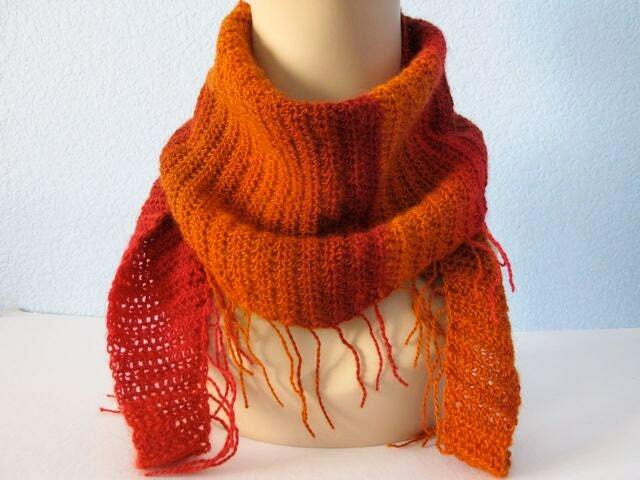 The finished Scarf measures 56 inches long and is 9 inches at the widest point. 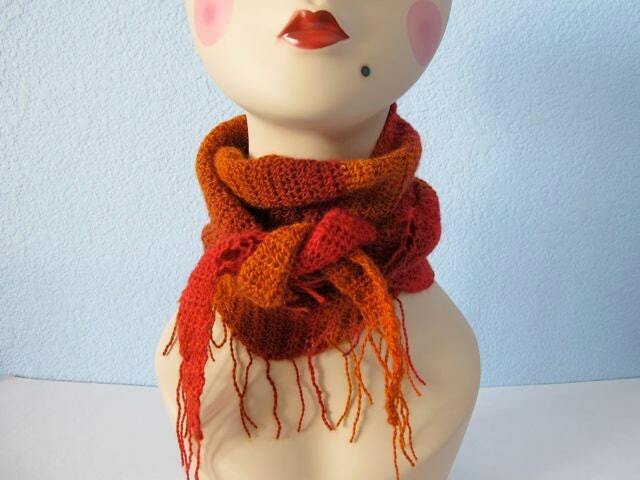 This purchase is for The City Scarf pattern only. It does not come with the scarf pictured here. I hope you enjoy making The City Scarf!